Kendall Baker orders food from Emma Cole at Home Slice Pizza on Friday. 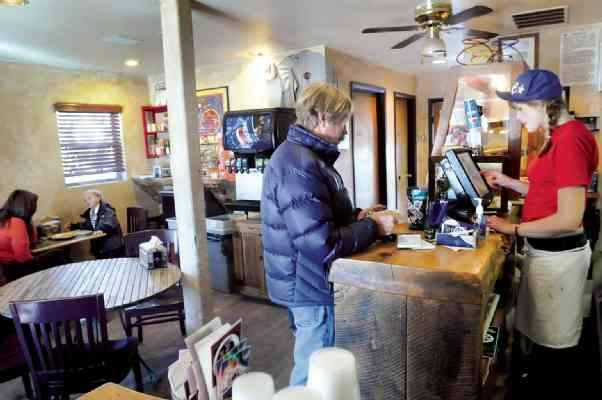 The dining area will be expanded as part of some renovations owners Lynn and Cory Kitch have planned for the restaurant. Home Slice Pizza will close for two weeks to accommodate a major remodel. 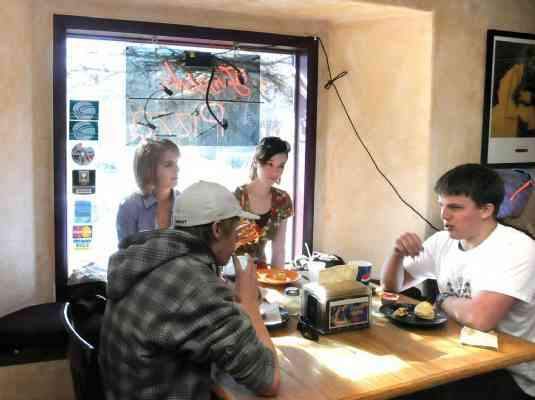 The Durango eatery will close beginning Monday with the aim of reopening Groundhog Day, Feb. 2. Home Slice will be getting a revamped front entrance, an expanded counter and a new, larger oven. "We're going to gut the whole place," said Lynn Kitch, who owns the pizzeria with her husband, Cory. "January is one of the slower months, and we figured we'd get it knocked out." The remodel also will create a spot for people coming to pick up a pizza, so they don't have to wait in line along with people trying to order. "We'll have a little more elbow room," she said.